What in the world is a Dole Whip and why is it only at Disneyland and Disney World? Dole Whip is a soft serve or float consisting on pineapple created by the Dole food company in 1986 and I need to try this. 1. Using a blender, blend pineapple, banana and coconut milk until very smooth. 2. Pour into glass and decorate with pineapple wedge. When I heard dole whip I was immediately curious and wanted to make a version of my own. Now I don’t eat much ice cream and I haven’t really ever enjoyed a float; but a smoothie I’m all for and making the Dole whip into a smoothiesque consistency treat is right up my alley. 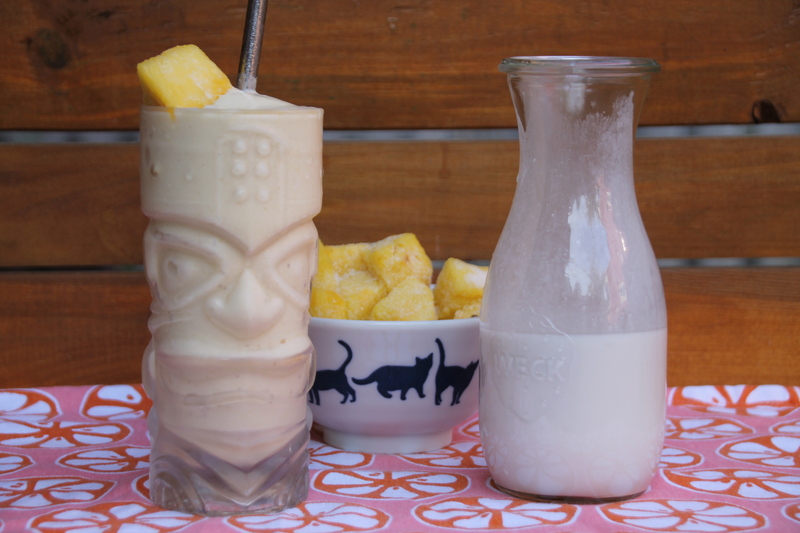 Pineapple has always be one of my favourite fruits so trying this Disneyland essential was a no brainer for me and I will be making this again and again.